As an experienced performance improvement consultant and solutions provider for the last 30 plus years, Bernard has gained a reputation for excellent training, organizational development, and change management solutions for his clients. As a testament to the quality of his work, 70% of his engagements over the years have come from word-of-mouth advertisement. With a long history of training and learning leadership in the areas of team building and leadership, as well as a host of other subject matter areas, he has a passion for leadership and has designed numerous programs in these area as well as many others. 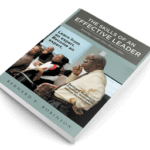 As the author of The Skills of an Effective Leader: Becoming a Leader Others Want to Follow, Bernard’s mission is to change lives for the better through effective learning and leadership. 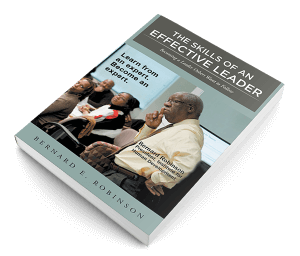 Bernard excels in helping leaders and their organizations examine operational and leadership practices and finding solutions that respond to their aims, desires and needs. He does this through his Performance Enhancement Coaching System™, which systematically guides leaders in finding ways to spiral their effectiveness upwards and meet their leadership performance and development goals. Bernard is a skilled and talented trainer, team developer, speaker, and leadership and business development coach, and he specializes in helping leaders examine their leadership practices and heighten their personal mastery of the “art of leadership.” His philosophy of learning seeks to promote the use of behaviors that enable performers to push through performance roadblocks and apply principles, practices, and disciplines that improve their performance and the quality of the workplace societies that they are a part of or entrusted to lead. He focuses on providing custom-fitted performance improvement solutions that meet his clients’ needs. Over the past 30 plus years, Bernard has helped organizations identify, respond to, and manage a host of operational, organizational, and performance challenges that accompany the accelerated change, competition, and operational complexity that exists in today’s workplace and business environment. He and the Institute have managed large and varied projects and organization-wide interventions including organizational studies, team building, strategic planning, and team building/action planning retreats. His company has facilitated performance improvement forums for more than 29,000 participants. Before establishing the Institute, Bernard worked for 20 years with the Federal government. He is a former training manager and senior trainer with the Arlington County Government and the Washington Hospital Center, respectively. In addition to a reputation for building excellent relationships with his clients that is characterized by high trust, ethics, and value, Bernard is a Certified Management Consultant (CMC). This certification is awarded by the Institute of Management Consultants USA, Inc. to consultants who meet high standards of education, experience, competence, professionalism, and ethics as a management consultant. CMC is the International Symbol of Consulting Competence, Integrity and Excellence. Furthermore, he was the originator and host of the online radio show The Leadership Forum, which aired on VoiceAmerica’s Talk Radio Network. In 2010, Bernard and the Institute were selected as one of the recipients of the Top 100 Minority Business Enterprise Awards, a regional awards program honoring outstanding women and minority business owners in Maryland, Virginia, Pennsylvania, Delaware, and the District of Columbia for the success and innovation in their business and professionalism of their business organizations involvement in a breadth of community involvement.